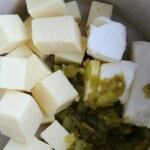 In a greased crockpot combine cream cheese, american cheese, butter, green chiles and jalepenos. Cover and cook on low heat for 1 hour. Stir the mixture until well mixed, then add a tablespoon of milk at a time until you reach the desired consistency. 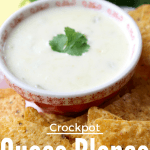 Cook for another 15-20 minutes, or until the cheese is completely melted and combined. 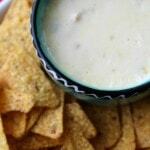 Keep cheese dip in crock pot on the warm setting until ready to serve. Store in the refrigerator in an air tight container. 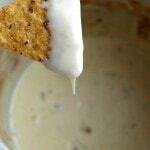 To warm: place in the microwave with 1 teaspoon of water for 30 seconds. Stir and add another teaspoon of water if needed. Heat by 30 second increments until hot.